Businesses that run effectively on a large scale are usually operated by a skilled team of interdisciplinary business specialists. Aspiring professionals may choose to further their education within a specific discipline of business, such as finance or marketing. Others might prefer to continue their education with a broader approach by pursuing a Master of Business Administration (MBA) or a Master of Public Administration (MPA), both of which cover a wider spectrum of fundamental business and leadership concepts. When looking at MBA versus MPA programs, consider the following information, which may help prospective postgraduate business students choose the educational path that suits them best. An MBA is the most commonly-pursued postgraduate business degree, as it provides flexibility for professional development in several business disciplines, including management, marketing, business law, strategy, and finance. Beyond these general areas, an MBA student can also choose to concentrate on a specialized area of business. This concentration could be one of the aforementioned topics or something broader, such as international business. A public administrator may be a government official or representative of a nonprofit organization. An MPA, unlike an MBA, focuses on teaching students how to operate public organizations and government institutions. The coursework featured in these programs is designed to explain to students how economics, sociology, and political science can be used to draft policies that effectively maintain order in communities. As community managers, aspiring public administrators may also be taught how to communicate with and lead people effectively in society. Before they can begin pursuing an MBA, prospective students must earn a bachelor’s degree, and are sometimes required to take the Graduate Management Admission Test (GMAT). They must then decide whether or not they should pursue a specialized MBA program. For example, an executive MBA program is designed to allow MBA students the opportunity to pursue higher education without slowing down their careers. The class schedules are flexible, allowing students to attend classes on nights and weekends. Even more flexible are online MBA programs, specialized or otherwise, which can be molded to fit an individual’s schedule. Depending on the program’s course load, a typical MBA program will require approximately two years of full-time study to complete. For part-time students, this timeline extends to anywhere between four and six years of study time. Students can also find accelerated MBA programs that take only one year of full-time study, online or in-person. After earning a bachelor’s degree, a prospective MPA student may need to complete the Graduate Records Exam (GRE) before applying for an MPA program. Depending on the student’s test scores, he or she may be able to obtain a spot in a more noteworthy degree program. Similar to MBA programs, MPA programs offer both a traditional course load and a specialized executive MPA option. The timescales are also quite similar, with full-time study allowing students to earn the degree in two years, and part-time study leading to completion in roughly four to six years. Communication is any method used to pass information from one person to another, including in-person conversation as well as text, video, and audio messages. Without communication, most organizations would be unable to effectively carry out operations. Therefore, both MBA and MPA students must learn how to leverage strong communication skills in their respective lines of work. MBA students will likely learn how to effectively communicate with their leaders and colleagues, as well as how to interact with their customers and audiences. On the other hand, an MPA program will focus on teaching students how to exchange information with the public in ways that are socially and ethically acceptable. Through better communication, both groups of professionals can better align their goals with the applicable parties and collaborate to achieve those goals. Integrity is usually represented by an individual’s level of honesty and moral righteousness. Integrity is critical to success in most professions, but leaders in business and public administration are expected to maintain integrity at all times. If senior leaders in business continually display integrity in their actions, they increase the potential of establishing a company culture that values honest and ethical behavior. This not only helps businesses to promote better relationships between employees but also aids in generating an overarching brand of integrity that can help attract support from other organizations, such as legal entities, suppliers, and customers. An MPA program should also teach students the importance of integrity as well, but these students will need a perspective that is geared specifically toward public officials. The objective of a public administrator is to guide communities in a positive direction through policies and programs. In order to do so, an administrator needs the support of his or her constituents. The best way to gain this support is by maintaining a reasonable level of honesty and transparency. Through graduate coursework, aspiring professionals can learn how to uphold these principles of integrity without compromising effectiveness in their jobs. When running an organization in the public or private sector, leaders are frequently confronted with complex issues. In this sense, there isn’t very much contrast when looking at the value of analytical thinking in MBA versus MPA degree programs. Regardless of one’s line of work, thinking analytically allows professionals to evaluate the root causes of an issue and strategize a reasonable approach to resolving it. Whether the objective is to determine how to improve bottom-line profits in a business or how to eradicate a crime epidemic in a community, analytical thinking is essential to problem-solving. Although the skills and competencies learned in MBA and MPA programs intersect at some points, the careers available to each type of graduate are very different. The following is a breakdown of career opportunities for each discipline. A human resources manager directs a firm’s human resources team. Success in this occupation hinges partially on an individual’s leadership skills, as the professional will need to manage other human resources employees. 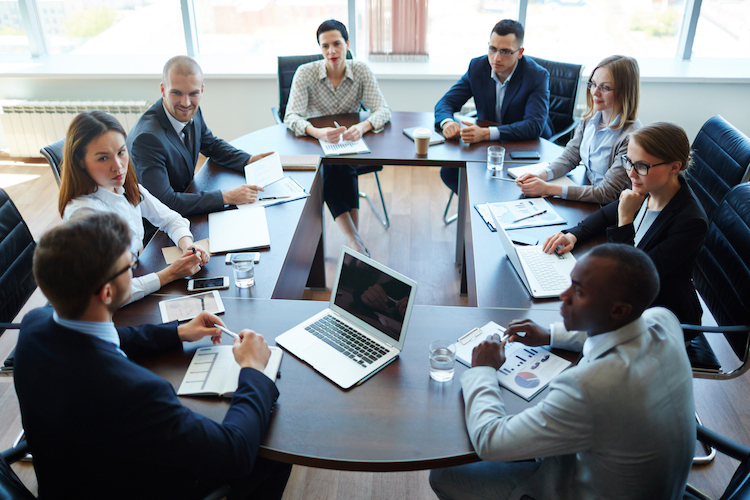 This often includes overseeing critical process such as payroll services, planning employee recruitment efforts, coordinating employee training, and organizing company events. Oftentimes, employees will express their concerns about workplace conditions to the HR manager. This makes communication skills very important, because HR managers will need to interact with employees at every level of their respective organizations. To qualify for a position in this occupation, a professional must have five years of related work experience. Professionals can present themselves as even more qualified candidates if they possess an MBA in addition to a substantial amount of work experience. According to the Bureau of Labor Statistics, HR managers in the United States earned a median annual salary of $106,910 in 2016. There are many supportive services that must be organized to maximize productivity in a business, such as mail distribution, recordkeeping, and office maintenance. The administrative services manager coordinates these and other services. The job typically entails supervising administrative personnel and ensuring that all facilities are in compliance with any applicable regulations. Sometimes, the administrative services manager is also responsible for purchasing new equipment to improve productivity or scheduling maintenance for old equipment ahead of time. The type of organization usually dictates the education requirements for an administrative services manager, but larger businesses typically prefer MBA graduates for the position. Having two to five years of experience in an administrative position can also look good on an applicant’s resume. Across the profession, administrative services managers earned a median annual salary of $90,050 in 2016, and the number of available positions is expected to grow by 10 percent through 2026. Nonprofit programs are run almost like any other business, with the small difference being that they often receive additional support from social services. A nonprofit coordinator will represent a segment of a nonprofit organization publicly and possibly direct some of the organization’s programs and activities as well. This can entail different responsibilities, such as planning budgets, creating schedules, or supervising a group of employees. A nonprofit coordinator may work in a charity, a school, or other public institution. According to Payscale.com, the median wage for these professionals is $40,616. Without funds, a nonprofit will fail. The director of development is responsible for strategizing an effective plan for procuring funding for the nonprofit’s programs. Potential fundraising responsibilities include identifying individual investors, applying for grants, hosting charitable events, or attracting corporate investors. For larger nonprofit groups, the director would likely be responsible for leading a team of assistant public administrators. Employers usually prefer that candidates for this position have an MPA and five years of nonprofit leadership and fundraising experience but may not always require it. According to Payscale.com, the median wage for professionals in this occupation is currently $61,510. When considering MBA versus MPA career paths, professionals must also consider their personal preferences. An MPA can lead to a promising career in nonprofit or government leadership, but an MBA offers graduates a flexible skill set that can be adapted to fit many different areas of business. An MBA program will teach students how to communicate and collaborate with a team of interdisciplinary business professionals to enhance a firm’s profitability. By completing a Master of Business Administration, aspiring business professionals can prepare themselves to pursue a rewarding career in the private sector. If an MBA program seems like the right fit for you, check out Maryville University’s online master’s in business administration. If a career in business is of interest, learn more about the career opportunities available that come with an MBA degree.